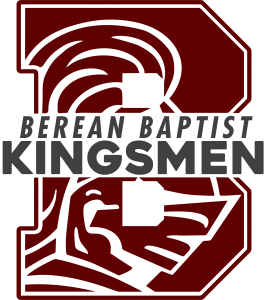 In 1953, the Lord placed upon the heart of Pastor Melvin Swanson to start the Berean Baptist Church in a basement building at 4609 Auburn Street. The first Sunday service saw an attendance of 17. Since that day our Sunday School has grown to over 600 in average attendance each week. 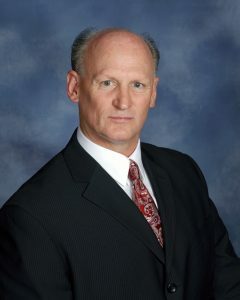 In December of 2011, Mark Swanson was called to be the second pastor in the history of Berean Baptist Church. He understands what the needs of this present generation are and desires to give strength, courage, and comfort through the Word of God. You will not have to hear Pastor Swanson very long before you realize that he is a man that preaches the wonderful, uncompromised truth of the Word of God. We warmly invite you to come and visit with us soon. We look forward to meeting you and your family. No matter the age, we have a class for you. From the youngest to the oldest, Bible classes are available. Our 2 Sunday School programs are staffed by 75 dedicated teachers and assistants who clearly proclaim God’s Word to build your faith. The youth of Berean have the opportunity to participate in a variety of activities to help them grow physically and spiritually. Camp programs, youth conferences, college trips and well-rounded activities with a purpose are regularly available for teens. For over 40 years the Bus Ministry has been an important outreach in our city. Each Sunday over 300 riders come to church on our 5 bus routes. A faithful and dedicated staff of workers have been used of God to reach countless souls for Christ. Every Wednesday evening during the school year, 4-year-olds through the sixth grade have a delightful and enjoyable time of their own in our Master Clubs program. Children are taught the value of memorizing God’s Word and are given instructional lessons on applying His Word to their individual lives.